Infosecurity Europe 2018 has been on the minds of a lot of people within our industry, and I for one am really buzzing about the event which will be kicking off in London next week, (June 5th - 7th)! As much as I would love to go to the vast majority of the conferences which take place in London, and further afield, I'm afraid recruiting for my clients isn't going take care of itself. Whilst I am not a hands on Information Security expert myself, (not just yet, anyway), I pride myself on getting out to as many conferences and events as possible to hear first hand about which new technology businesses are rolling out, what the new threats are in Cyber Security and what are the main challenges businesses are facing every day. From this knowledge, I can better understand how I can add the most value to organisations when recruiting talent for them. I believe having my finger firmly on the pulse of the market I recruit in helps me understand this broad and complex industry as much as possible and, in turn, enables me to give informed advice to my clients. 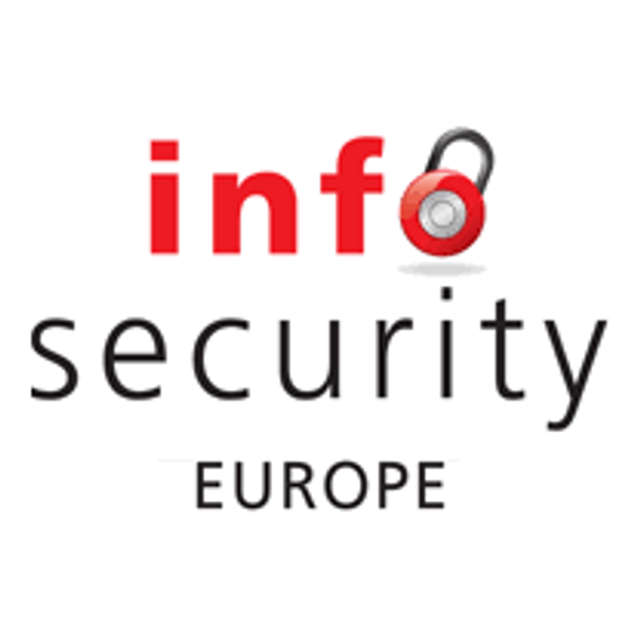 So, back to the event; As I'm a lover of apps, the first thing I did was download the Infosecurity Europe App. With this app you can check out the floor plan, which guest speakers are on at what times and even take a selfie, so everyone knows who you are on the day(s)! Here's a short list of what I'm going to make sure I see on the opening day of the conference. 1. View from the Board: A CEO's Perspective on Cyber Security: This is the opening talk of the day at the keynote stage, and an important one too. For me, understanding where the CEO of a business identifies risk, with the aim of protecting a company's Intellectual Property is fascinating and helps me understated where their priorities are in terms of security. This changes from business to business, depending on how mature their security capability is. As its the first talk of the day, they wouldn't kick of with something sleepy, so I'm sure this is one not to be missed! 2. GDPR Breach Notification: Demystifying What the Regulators want: With May 25th now behind us, you may think you've heard the last of GDPR. Think again. There will be lots of new processes and procedures and keeping the regulators happy will be one of them! So, I'll be swinging by the Strategy Talks stage to hear Symantec's very own, Ilias Chantzos, run through all things GDPR. 3. Security at the Speed of Business: Supporting Digital Transformation with Cyber Security: I'll be heading back to the Keynote stage to listen to a panel discussion with the Security Leaders from M&S, Ovum, GSK Williams, Grand Prix. This really wets my appetite as I have placed CISOs this year in companies which were going through large scale transformation projects and I understand the importance of what this means for most companies, SME or FTSE 100. I think it will be very interesting to hear the input from 4 leaders who sit in quite different businesses and what their own challenges and perspectives are. 4. Shining a Light on the Dark Web: Christian Lees from InfoArmor's will be on the Tech Talks stage running through the Dark Web, something I know virtually nothing about. Out of pure curiosity, I think this will be pretty cool and an eye opener. 5. Rethinking Security Teams to Address the Skills Shortage & Secure the Business: To wrap up the day, I'll be back at the Keynote Stage, where a panel discussion is being held by CISOs and Directors from LinkedIn, Vodafone, Sainsburys, Pinsent Masons & (ISC)2. As a recruiter, this talk covers areas which are important to me and to all of my clients, as people are the blood line of your companies success. 'Identifying, Attracting and Retaining talent', something I wrote a separate blog on earlier this year talks about this in more depth. Alongside this, the panel will cover; 'A day in the life of a CISO', 'Redesigning Security Teams to Support the Business of the Future', and 'How to develop your career in Cyber' - all of which will be awesome to hear! There are plenty of other talks and I wish I could see them all, hopefully there will be an opportunity to nip in and catch at least some of the talks which clash. If you have any other recommendations for talks that I just can't miss, please let me know! By the end of the day, I'll have no doubt worked up a thirst and will head to one of the post conference talks happening afterwards where I'll fit in a couple of Gin & Tonics.